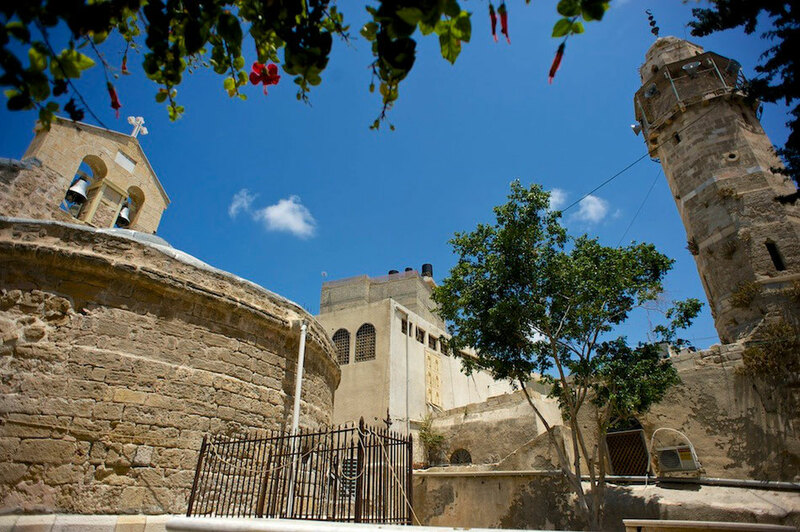 The good story of the church and the mosque in old Gaza city. During summer 2014 attacks on Gaza city, the poor eastern area's of the Gaza strip were under severe fire. The population had to leave their home in panic. Despite the warnings by the Israeli forces that should have left some time for them to leave their house, bombing occurred while crowds were still on the streets, killing innocent civilians. 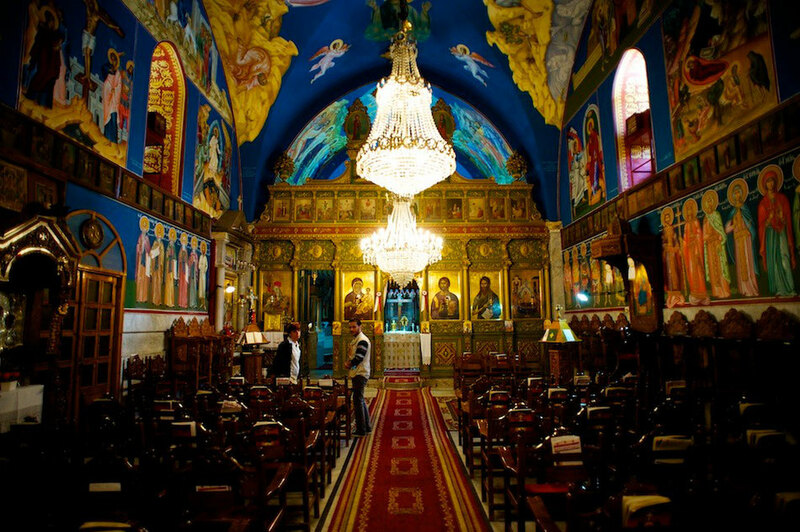 Homeless, some of these inhabitants could find shelter in the Greek Orthodox church of Saint-Porphyrius in Old Gaza city. The church and the neighboring mosque are supposed to be some of the very few in the world to share a wall.